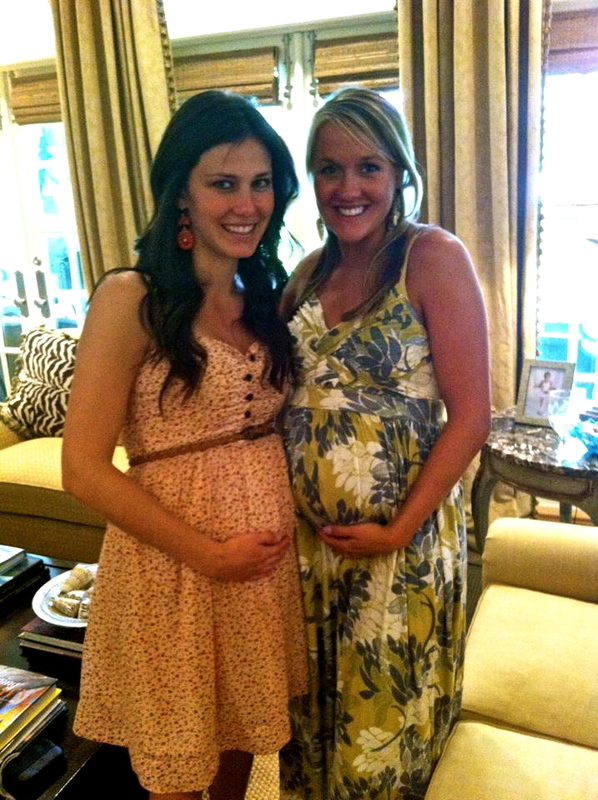 Heather had a baby shower today and it was so special and beautiful. She was absolutely glowing! (I mean, check her out!) I am so excited for Heather and her husband Stephen and I can't wait until the day when I get to meet that little baby girl! God is blessing this child with some amazing parents and she is going to grow up having a hunger for Christ like none other! So of course when I found out Heather was pregnant I was so excited to start making little baby stuff! When we learned that she was having a girl I made little leggings for her right away. (I'm sorry I don't have pics of the leggings but don't worry, when I find out what I'm having those are one of the first things I'll be making!) For her shower I decided to make her a diapers and wipes clutch/case. It was super easy and the fabric I found was super cute! (her nursery is owl themed :) I found this amazing tutorial at Just a Bit Frayed. However, I added a little wrist sling so Heather can be hands free to take care of that sweet baby girl. I was so excited to give it to her, and by her reaction, I think she loves it too! I can't wait to make my own for my little Juice Drop!!! ...and I love it!! I actually am not a fan of diaper bags because I don't want to carry that and a purse so I just throw my clutch in my purse and anything else I may need!